Paparazzi pictures of 22-year-old Tiffany Trump are very different from the pictures on her "instagram". The youngest daughter of the Presidential candidate Donald Trump and his former wife Marla Maples was the subject of discussion. 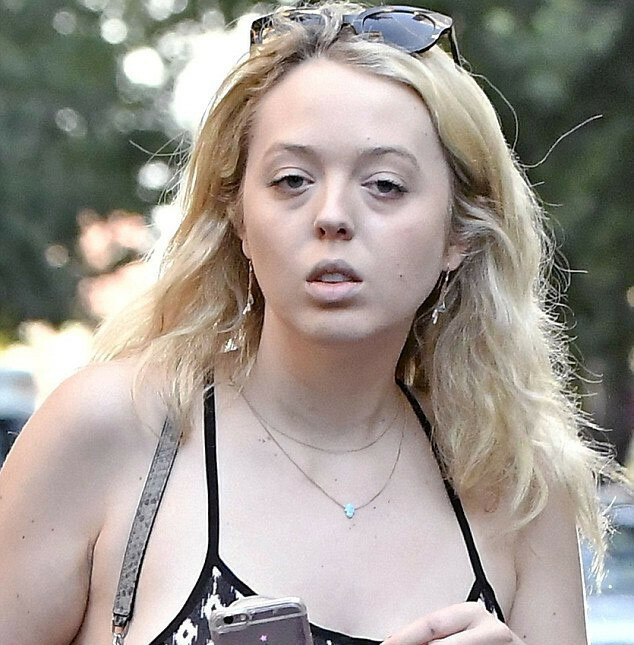 Photographers have caught a 22-year-old Tiffany Trump, when she was on her way to school. Bloggers have been amazed to see the "true face" of Tiffany. The pictures on "instagram" of billionaire heiress look completely different. Tiffany Trump went to law school to become a lawyer. Prior to that, the daughter of Donald Trump graduated from the Department of Sociology at the University of Pennsylvania. On top of everything else Tiffany Trump is an aspiring singer.